Wow, so pretty! 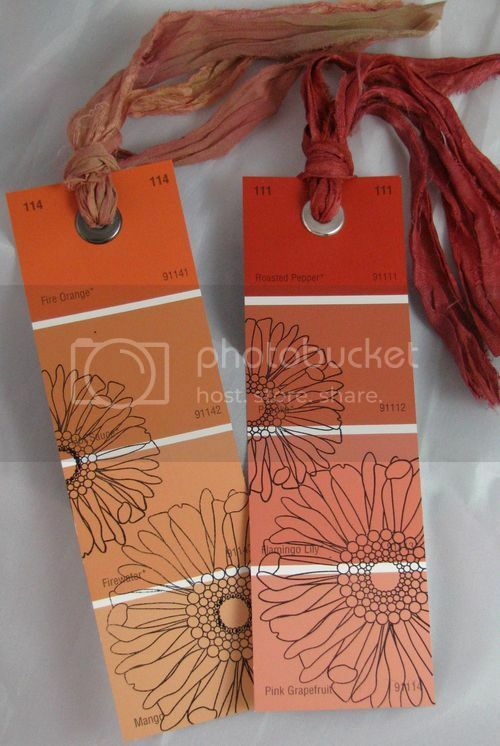 I'm kind of in love with these bookmarks made from paint chips. I wondered how they got the flower pattern on them, and after some googling around, I think they must have used a flower stamp. I love the grommet with ribbon... so classy. This would be a fun project to do at the library. That's so awesome! I'm not creative enough to come up with these ideas but I'm glad other people are. Fun, fun! That's what I love about it! It's so simple, but so cool looking.